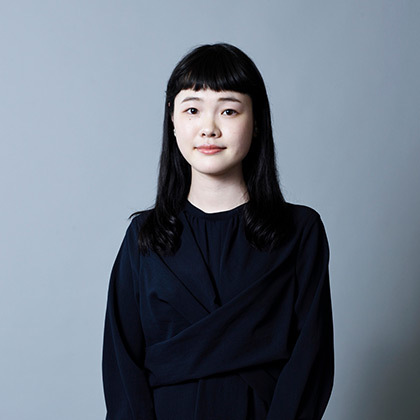 Risako Kawashima, born in Kanagawa Prefecture in 1996, is enrolled in the Faculty of Environment and Information Studies at Keio University. Kawashima works to create new user experiences through the design of experiences that leverage the characteristics of physical materials and interactive art that expands the body’s senses. The word anima means “breath” in Latin. Today, it has also taken on connotations of the mind and spirit. The work Anima is an installation in which lighting is literally imbued with breath through soap bubbles. The light comes on when a soap bubble, enlarged with breath, is placed on the socket, and the light goes off again when the bubble bursts. Soap bubbles are a familiar material frequently used in child’s play, filled with the breath of a person. 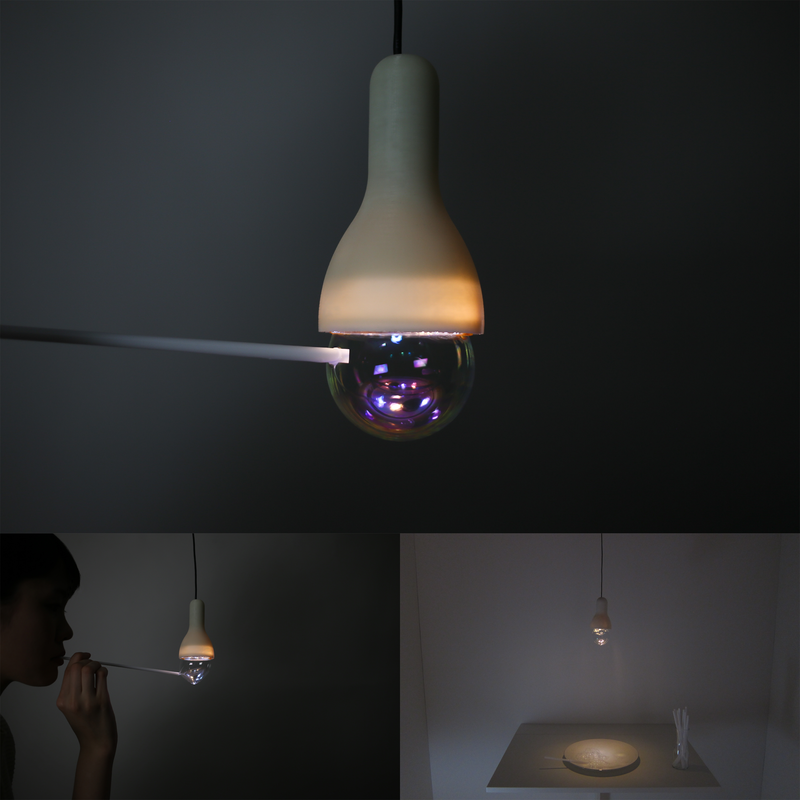 In Anima, these soap bubbles function both as part of the lamps and as a connection between people and things (the lamps). Causing the lamp to light up with one’s breath evokes a sense of affection for the object and presents an opportunity to see it differently. The work was displayed at the SICF19 Exhibition.